Coconut Oil For Dry Scalp : The Best Natural Therapy! Your hair plays an important role in portraying your personality to the world. If you want to have shiny hair with a bounce and also want to manage them easily at the same time, you should start using coconut oil for dry scalp and hair treatment. Coconut oil makes your hair healthy and also gives a very good appearance and that too at a very low price in comparison to the salons. Coconut oil for dry scalp is so good that you can even consider replacing all hair products like conditioners, hair serums, etc. with this natural therapy. Many people have been asking, is coconut oil good for dry scalp, and if it is, how to treat dry scalp with it? The coconut oil is a natural therapy and it has lauric acid, anti-microbial properties and various fatty acids essential for the strength of the hair. Coconut oil also conditions the dry scalp and thus helps in regrowth of the hair too. The minerals, vitamins, and other nutrients present in the coconut oil help the hair to gain their natural health and look shiny and beautiful. Because of hormonal changes and ageing, the scalp starts getting dry, due to which the hair becomes rough and brittle. It leads to breakage and bad texture of the hair. The coconut oil for dry scalp is the best cure. It is completely safe and has no chemicals like the conditioners, hair creams, and gels have. In the past when there were no hair styling agents, the coconut oil was used to improve the health of the hair, keep the fungal and bacterial infections away from the scalp, increase the volume of hair, and even for avoiding the weakening of hair. There are so many products for hair and skincare in the market and all of them also have coconut oil presenting them. If you see the label showing the ingredients of the product, you will be able to see coconut oil in that list. 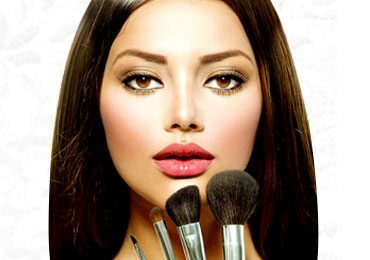 Apart from this, there are also other chemicals present in these products which slowly damage the hair and this damage is not easy to repair. Since the coconut oil the best for dry scalp, and has no chemicals it is wise to switch from other hair care products in the market to the natural coconut oil. Even the price tag for the coconut oil is very less than the other products on the market. No matter what is your hair type, coconut oil is a very good conditioner as it takes care of the dryness of the scalp. If you have a healthy scalp, your hair will automatically have a good texture, shine, and strength. Even as per dermatologists, the coconut oil for dry scalp is far more efficient than mineral oil and the sunflower oil. The coconut oil is also known to prevent any protein loss. Because of protein loss, the scalp and hair become dry. So if you have dry scalp, it might be due to the use of chemical based hair products which can be cured with the coconut oil, if you start doing the treatment regularly. Even the presence of the lauric acid inside the coconut oil helps in the nourishment of the hair. Since the lauric acid is having a low molecular weight it can easily penetrate the pores of the scalp and thus make hair more nourished. It is very safe to use the coconut oil for infants too. People usually are scared to comb or brush their hair after oiling, but you can safely brush your hair after using the coconut oil. To use the coconut oil to condition the dry scalp, all you need to do is to apply the coconut oil to the scalp and then let it stay there for hours and do its conditioning. To use the coconut oil properly, you need to know the right quantity for your hair. The quantity depends on the length and density of the hair. Like for short hair, only one-fourth of a teaspoon will be sufficient. If you have long and dense hair, you can increase the quantity but we suggest to not go beyond half teaspoon. Small quantities of coconut oil are good enough for the conditioning purpose. If you have thin hair, using more than the required quantity can also harm your hair. The coconut oil is thick and heavy and if more than required quantity is used, thin hair may break due to extra weight. While applying the one should be careful about the end of the hair strands. You should not apply the oil in a rough manner as it may lead to the tangling of the hair. Simply run your finger through the hair and try touching the scalp to get the maximum benefit. Once you are done with the application of the coconut oil, you should leave it for some hours or even overnight, so your dry scalp can absorb the ingredients of the oil and regain its health. Just to avoid staining your furniture or pillow with the oil, you can cover your hair with a shower cap or a towel. After this, you need to wash your thoroughly just to remove all the oil from the hair. Just for the good health of the scalp, try using a shampoo with least number of chemicals present in it. 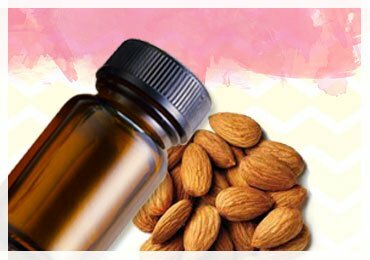 If you are doing the conditioning to make your dry and damaged hair better, then adding few drops of essential oils like sandalwood will be a great option. 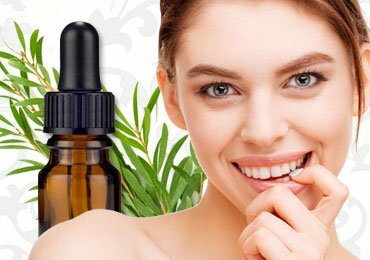 The essential oils help in the retention of the moisture and also increase the effect of coconut oil. When the scalp gets dry, it sheds skin and leads to dandruff. The skin gets itchy if you have dandruff and it is caused mostly because of dryness, fungal infection, and also because of the chemicals in the hair care products. For centuries, the coconut oil has been used to fight dandruff. The coconut oil has medium-chain fatty acids. The capric acid and lauric acid are a part of these fatty acids and these have antimicrobial, antiviral, and antifungal properties. These eliminate any bacteria or fungal infection present on your scalp. The anti-dandruff shampoos and other hair-care products in the market may even make the situation worse. They do wash away dandruff temporarily but do not fix the root cause and may enhance it even. The regular application of coconut oil will remove dandruff slowly but permanently. 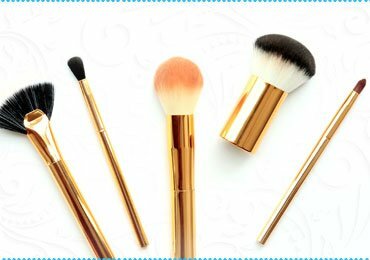 The chemicals like propylene glycol, sodium lauryl sulfate, parabens, polyethylene glycol, ammonium laureth sulfate, selenium sulfide, magnesium aluminium silicate etc. 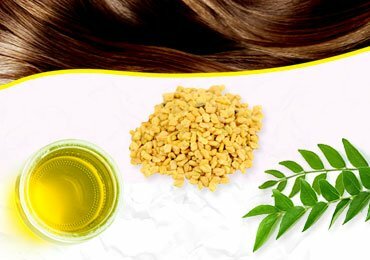 take away the natural oils of the scalp and thus increase dandruff. The results of the coconut oil do not show instantly but it guarantees to make the scalp healthy, fungus free, and retain moisture which leads to a dandruff free scalp. 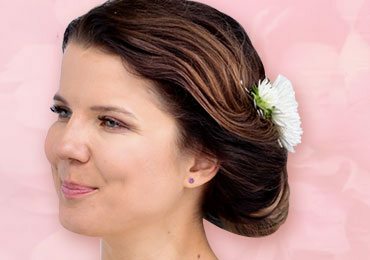 If you want to do a proper and intensive care of your hair to get rid of dandruff you can try adding essential oils like wintergreen, thyme, lavender, and tea tree, with the coconut oil. You need to add 5 drops of any of these essential oils to 2 teaspoons of the coconut hair oil. To create a perfect mix, use melted coconut oil. Massage this into your hair before sleeping and leave it overnight. Make sure you massage the oil into the entire scalp area. Do not forget to use the oil on near the neck and the ears too. After the massage, you can even sit in the sun for twenty to thirty minutes so that the mixture soaks in well and kills all the fungal infections that cause dandruff. If you cannot sit in the sun, then you may use a hair dryer as a substitute. After the application, you can wash the hair normally with a natural shampoo. Repeating this process for 2 to 3 times in a week will help you get rid of dandruff permanently. This treatment will also show results in the fast growth of the hair. 1. What Are Dry Scalp Causes And Is Coconut Oil Good For It? Causes for dry scalp are hormonal changes, weather changes, chemicals in products, dehydration, etc. No matter what is the reason, coconut oil for dry scalp and dandruff is the best treatment. 2. Is It Safe To Use Coconut Oil For Scalp of Children? Since the coconut oil completely natural and free from chemicals, it is safe for children. It can be used for any kind of hair. 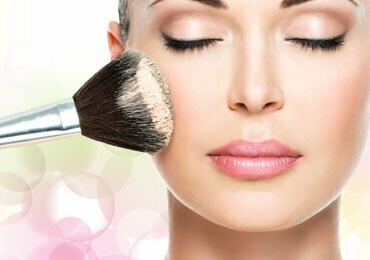 Just for your information, beauty products with mineral oils should not be used for children as they can lead to protein loss. 3. 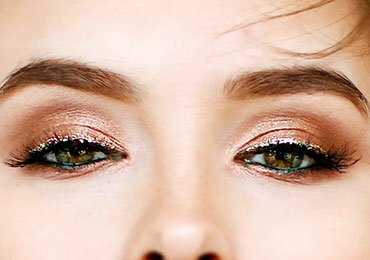 Should The Coconut Oil Be Melted Before Application? Yes, you should melt the coconut oil before application. Though the coconut oil can be used in its solid state too, using it in liquid form will be easy for application and it also gets absorbed easily by dry scalp. Healthy, shiny and good looking hair can add some extra charm to your personality. Spoiling your hair with chemical based products makes no sense when you have a natural product of the coconut oil. 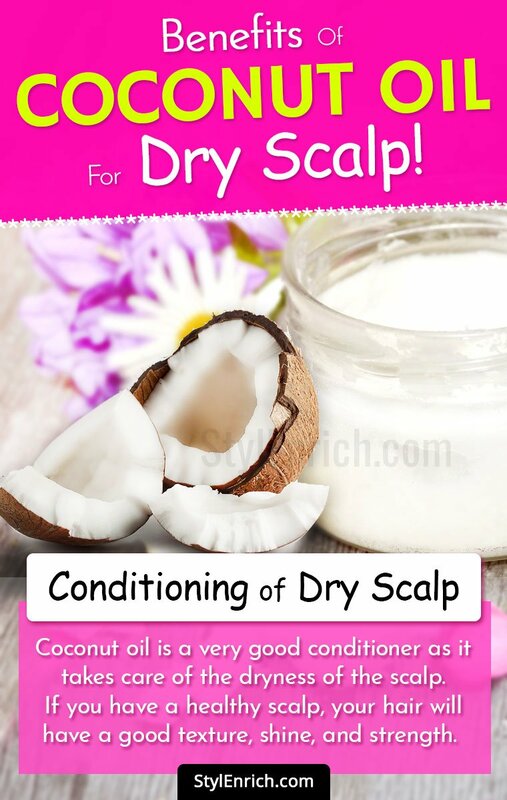 Coconut oil for dry scalp is the most natural remedy and is also not expensive like other products. 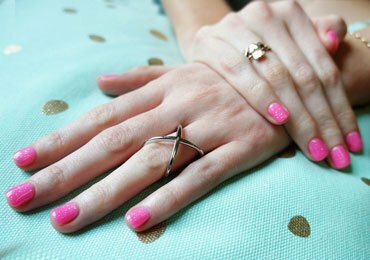 A Simple DIY Manicure Guide for Perfect Gorgeous Nails!